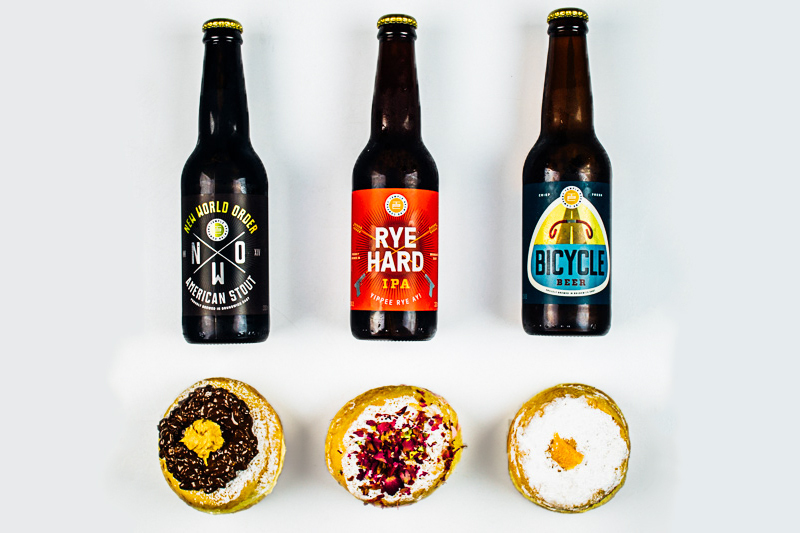 There’s no better way to cool down in this sweltering heat than with ice cream or a beer… but what if you could get your hands on a soft, squidgy donut packed with ice cream between its doughy cheeks, and a taste-matching cool beer to wash it down with? 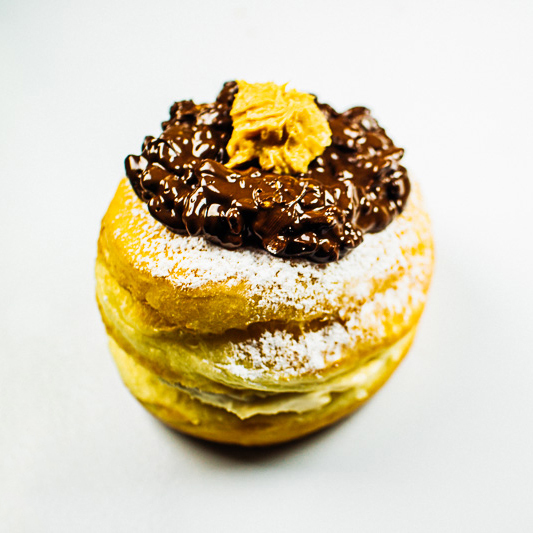 It’s what dreams are made of, and Paul and Lauren – husband-and-wife team behind online magazine The City Lane, who brought us the Nutella pop-up in September – made dreams come true for three days with their Ice cream Donut pop-up at The Strand on Drivers Lane. With the beers from Brunswick East’s award-winning Temple Brewing Co and the donuts supplied from the legendary All Day Donuts in Brunswick, there were three delectable combos to choose from – the pretty pink Turkish Delight Cheesecake, with Rye Hard IPA, Peanut Butter and Dark Chocolate, with New World Order American Stout, and Orange and Cardamom, with Bicycle Summer Ale. I can personally vouch for the mind-blowing deliciousness of all three (look, it was hot, ok!). With scrumptious wee tempura boxes and dumpling pancakes from next door’s Japanese restaurant Gekkazan, this was one of those events where I was glad I was wearing a loose-fitting dress, otherwise buttons would have been popping. Gorgeous gift bags from The Strand topped off the evening to perfection. Claire Henderson is a passionate lover of food, fashion, and all things fun and fabulous. Ice cream Donut pop-up ran Friday 18 December to Sunday 20 December. To keep abreast of other possible pop-ups, check out The City Lane. Disclosure: The Plus Ones were invited guests of The City Lane.